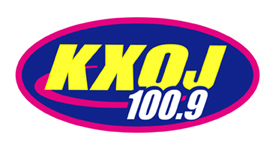 KXOJ-FM began in Feb ruary of 1977, transmitting from the tower site in Sapulpa, Oklahoma. The station has played Christian music since it’s sign-on, known in the early days at ‘eXcited Over Jesus’ for the ‘XOJ part of the call letters. The station was started by the Stephens family and remains a family operation to this day. In the early years (before contemporary Christian music became as well known as it is today) the station played a variety of programs including local preachers, a wide variety of music and the “Gospel According To Music (GAM) at night, which showcased the emerging sounds of “Christian rock” or CCM. In the early 90’s the station began to take the form it’s come to be known as today. Jim Marbles, a well-known local top 40 DJ moved to KXOJ and began hosting the morning show. During the Christian music boom of the mid to late 90’s KXOJ’s growth continued even more, and it remains one of the most listened to radio stations not only in NE Oklahoma, but is recognized as one of the top Christian music stations in America. The station has 3 Dove Awards for National Station of the Year among other industry achievements. The current staff includes many veterans who have been part of the station for 10+ years and counting. Today, KXOJ is more comitted than ever to bringing you and your family the best in contemporary Christian music. To reach us, visit the contact page.